No matter your year in optometry school, or years in practice, this article is meant to encourage and offer guidance on how to bring vision therapy to an optometry practice! Optometric intervention through vision therapy can change lives and careers, and using these steps you can learn how to implement this rewarding service. The first thing you’ll want to do is prepare a business plan. Take the initiative to organize your thoughts and get your ideas on paper. A business plan is a great way to advocate your proposal by illustrating how vision therapy will better serve the community and outline the potential revenue you can bring to a private practice. What else should the plan include? Talk it up! Explain what vision therapy entails, how it works, and why it adds value to a private practice. Describe the importance of vision therapy in remediating learning-related vision problems, as well as populations it can help, including patients with traumatic and acquired brain injury. Beyond this, vision therapy can benefit patients of all ages! Here’s a sample business plan that might help you when it comes to how to bring vision therapy to an optometry practice, or start a VT practice cold! While creating a business plan, consider future advertising and marketing ideas as well. These can include essential startup materials, cost of these supplies, and ways to build up your schedule. As primary eyecare doctors, it is our responsibility to provide the highest quality of vision care, so prospective employers should find your plan very attractive! Now you may be thinking, “I would like to pursue this avenue, but I don’t have much experience or knowledge on the subject.” My suggestion is to take advantage of CE courses, conferences, and workshops that provide education on this subject. Especially as a healthcare professional, you should be constantly learning and growing, and these are only a few examples of ways you can do just that! Here are some other excellent resources on brushing up on your vision therapy skills! You can also utilize available resources like the COVD website, AAO General Practice Guidelines, and VisionHelp blog to help prepare you at the outset. For those of you still in school or early in your optometric career, I would strongly recommend expanding your knowledge by completing a residency in vision therapy and rehabilitation, in which you will receive extensive training to develop your competence in the specialty. Plus, this is another way to make yourself more attractive to potential employers! Once you know all about vision therapy, the next, critical step is gaining support from your colleagues and staff. I would recommend providing a training session to discuss the vision therapy, how to schedule patients for evaluations, and reviewing basic techniques. In-house support is important for your success, especially if the specialty is new to the practice and community. Lastly, don’t forget the importance of networking and community outreach. You want to build strong relationships with referral sources and make yourself well-known in the community. Start by visiting local optometrists, pediatricians, schools, occupational therapists, physical therapists, and rehab centers to spread the awareness of vision therapy. Take the opportunity to share your passion and educate other professionals on the potential benefits of vision therapy. Communication and increasing awareness are key to expanding vision therapy and making it more widely available to those that need it! 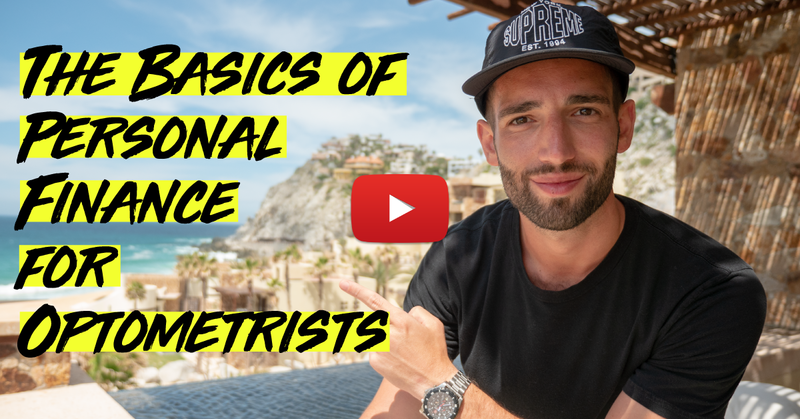 Once you consider the impact you can have on a patient’s life by enhancing his/her visual skills through optometric vision therapy, I hope you consider these tips as you work toward treating even more patients and building the private practice of your dreams! Dr. Kristen Vincent earned her Bachelor of Science degree in Biology with a Minor in Studio Art at High Point University, North Carolina. She continued her higher education at Pennsylvania College of Optometry at Salus University where she earned her Doctorate of Optometry with Clinical Honors. While in Optometry school, she served on a medical mission trip to Haiti to deliver eye care to those in need. During her clinical rotations, she completed an Advanced Pediatrics and Binocular Vision internship at The Eye Institute in Philadelphia. After graduation, Dr. Vincent completed a Residency in Pediatrics with a focus in Vision Therapy and Rehabilitation. She is eager to offer the unique specialty service of Vision Therapy and continue her passion of helping others utilize one of their most important senses, vision. Her primary interest is in the assessment and management of learning-related vision issues, and to enhance her patient’s whole visual system through the application of lenses, prism, and therapeutic intervention. She also has a strong enthusiasm for pediatric eye care and is pleased to be an InfantSee provider.